Over Christmas my brother and Katie got engaged and are going to get married this August. 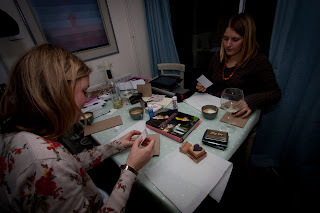 On Sunday we had fun making 100 wedding invites the first of many wedding craft sessions i'm sure! 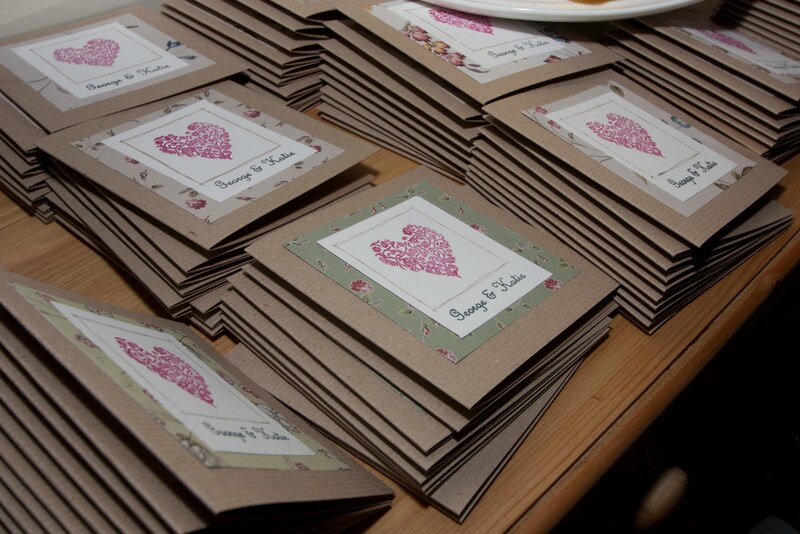 They look lovely :-) How did you manage to do their names? Is it printed on the computer? Congratulations to them both. That's a very quick period til the wedding, are they getting married up there or down here? WOW! How interesting! That will be fun! Ahhh I love that website!